Piedmont Physical Medicine & Rehabilitation is pleased to offer specialized myofascial pain treatment for our Greenville, Spartanburg & Anderson area patients. Myofascial pain syndrome (also called myofascitis) refers to pain originating from muscles that are in spasm. If you put your hand on the skin overlying the spasm, you can feel a ropy band underneath. The muscles are in the shortened position, but no work is being done. It is like a car engine that is on, but is seized. The lack of any real work being done by the muscle is what distinguishes it from a cramp. Myofascial pain is often a cause of neck and low back sprains. The symptoms are usually those of muscle pain with specific trigger points, and can be made worse with activity or stress. In myofascial syndrome, the trigger point represents the center point of a spasm. A distinguishing feature of these trigger points is the referral of pain to other body parts that occurs when they are pressed (see figures). Myofascial pain can be severe. 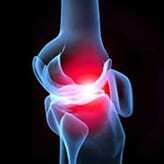 It can mimic nerve or disk injury. Myofascial pain is usually caused by an injury of some type. It may be from sports, a fall, or an auto or work accident. 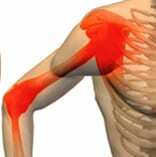 Since the injury is to muscle, initial treatment is conservative. Myofascial pain never requires surgery. treatments directed toward reconditioning of the muscle such as myofascial release, stretching, reeducation, and strengthening. Trigger point injections (see Injections) can provide excellent results. In general, if the problem is only muscle, relief should occur on relatively short order. If pain persists there is usually another underlying source that is causing the muscle to stay in spasm. This may include torn ligament, nerve irritation, arthritis, disk disease, hormonal imbalance, stress, or mechanical problems. Your doctor must first diagnose the underlying condition, and then treat it along with the muscle component. Even in the presence of a second condition that perpetrates a myofascial component, the majority of people do well. The diagnosis and treatment of myofascial syndrome can be very effective in reducing pain, weakness, and numbness for those afflicted with this problem. Myofascial pain can mimic disc, nerve, and ligament injury. It can involve an isolated muscle or a group of muscles. It can also be confused with fibromyalgia. Fortunately, it is much easier to treat.